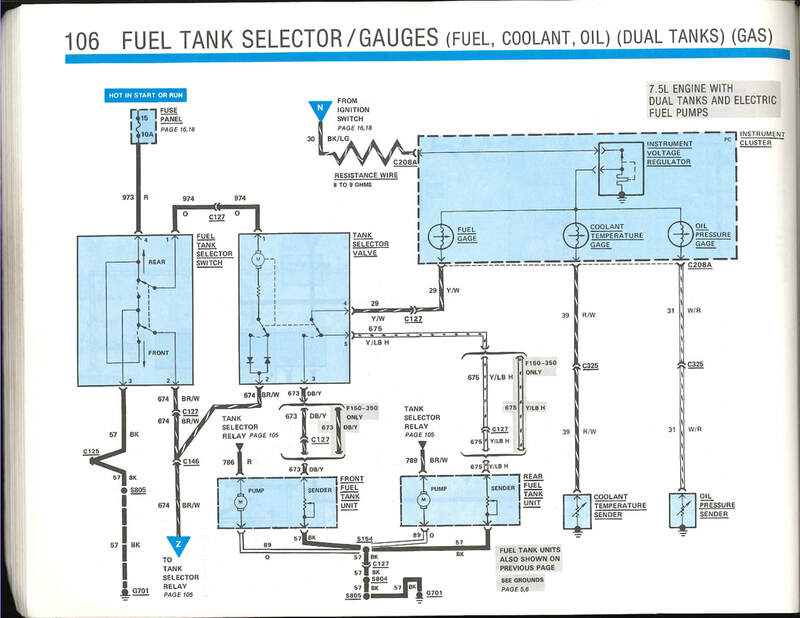 In an effort to consolidate information on the wiring, switches, etc on the fuel systems for these trucks, I've created this page. And, the more I get into it the more complicated I realize it is, so hopefully this info will help you as well as it does me. First is the question of what tank selector switches were used. 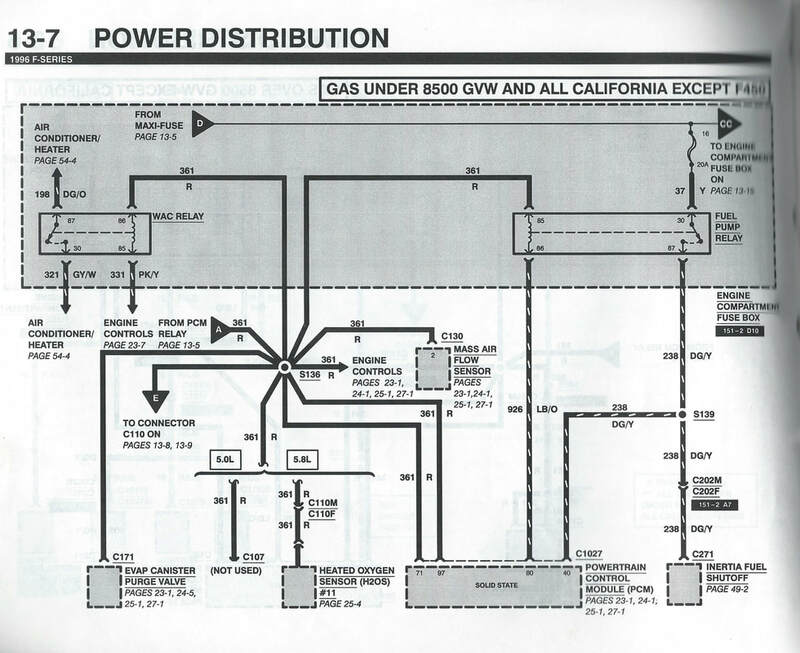 Here's info from the parts catalog and, as you can see, there were three different ones used in the Bullnose trucks, and another one used from '87 to at least 1990 as my 1990 "half-truck" had E7 rocker style switch in it. And, all of the 6-terminal switches take the same connector, even the E7. However, the internal connections varied so while the switches will physically connect they won't work. Now for the wiring itself. 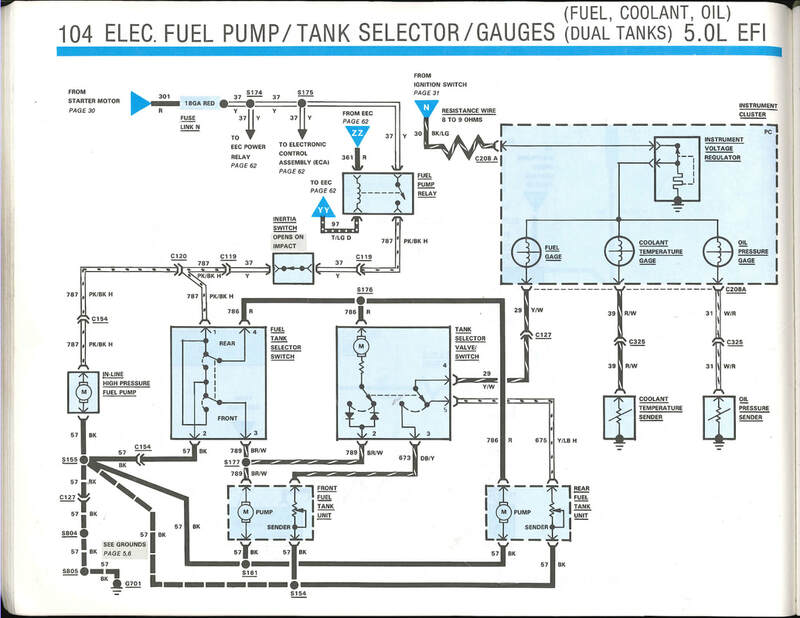 There are at least two places to which we can turn for schematics that show how the fuel systems on these trucks are wired - the official wiring schematics and the EVTM's. 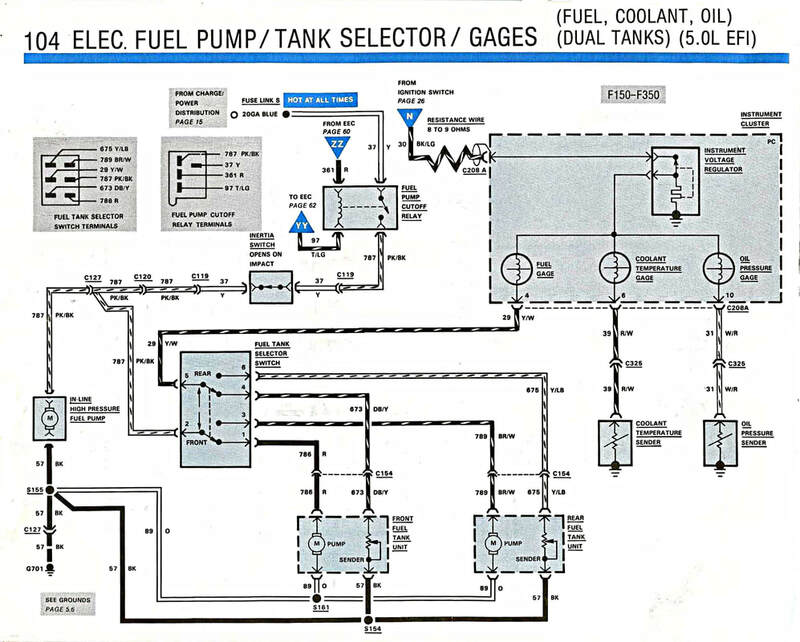 But in both of those you have to peruse multiple pages in order to "see" everything associated with the fuel system in one place. 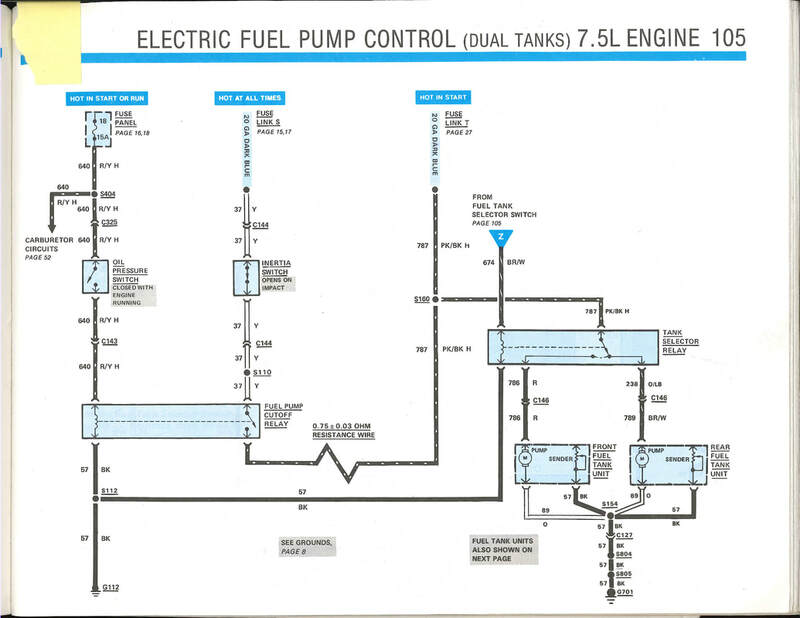 My brain can't get around things laid out on multiple pages, so I need everything regarding the fuel system on one page. Given that, I created the one below on the 1985.5-86 7.5L tab. Further, the to-be wiring for the '85 is actually a 1996 California-spec F250 w/a 460, so I created the schematic on the 1996 tab. I'm not going to guarantee that there aren't errors in either of them, so if you spot something PLEASE contact me to tell me what's wrong. 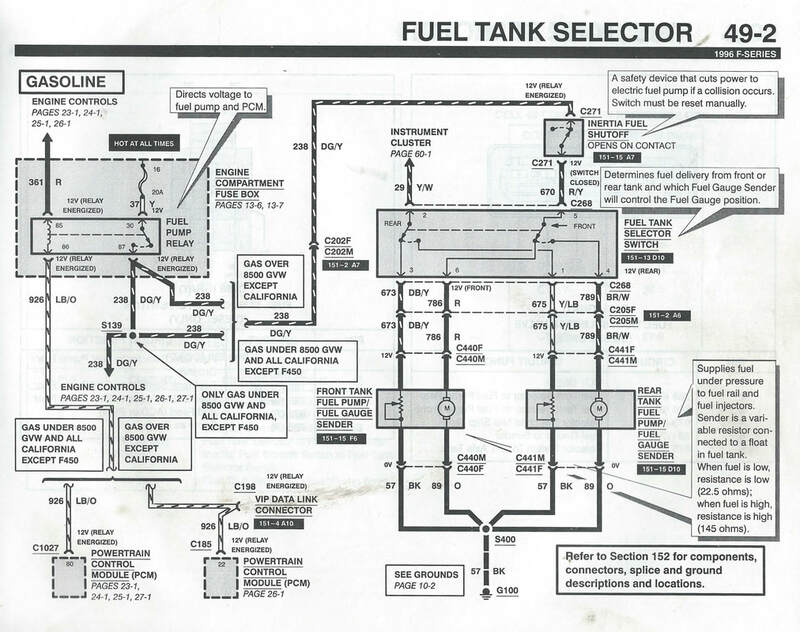 And then it was suggested that maybe I should use the earlier 5.0L EFI tank harness, so I added those schematics on the 1985.5-6 tab. Then I realized that there is a big difference between the two years, with the 1986 systems seemingly having done away with the 6-port valve. But, on closer examination I discovered that the two tank selector switches are wired differently. Which turned to the look at those switches, only to find that the 1985.5 and the 1986 trucks appear to take a different switch. 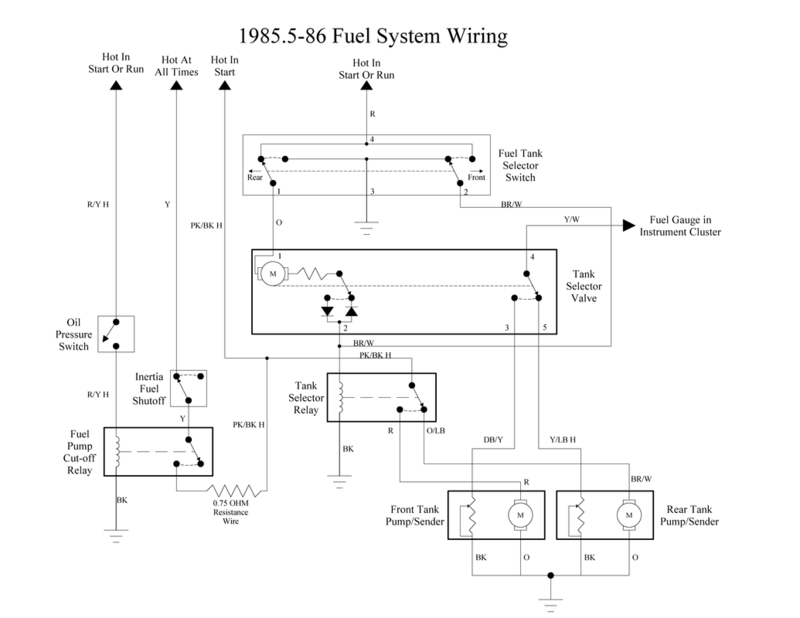 This is my drawing showing the wiring of the 1985.5-86 fuel system, and below it are two pages from the 1985 EVTM that show the same thing, but in a less-concise fashion. If you want to look at the drawing more closely you are welcome to download the actual file, which will give a clearer look. 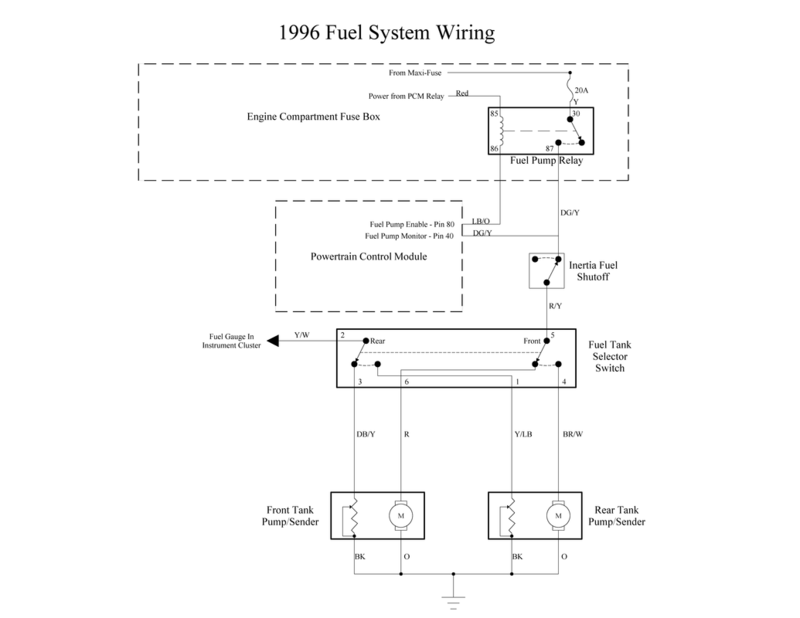 This is my drawing showing the wiring of the 1996 fuel system, and below it are two pages from the 1996 EVTM that show the same thing, but in a less-concise fashion.